You know the format of a Grisham novel, right? An honest and fundamentally good lawyer is working for a big, bad firm. In this particular novel, the good lawyer quits the firm and joins a small, poorly-run litigation firm that takes on a huge case. Not surprisingly, they lose the case, but they win where it counts. Happiness and good fortune come to the good guys. The bad guys are still rich, but that’s not important! I did like the book, though. 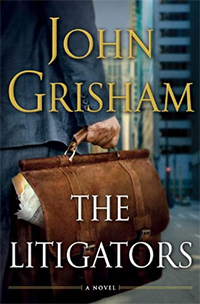 I confess to having a weakness for legal fiction . . .